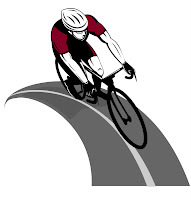 With spring around the corner, more and more cyclists will be hiting the trails and riding on the roads. Cities around the country are reaching out to bicycle traffic, and Garver Executive Vice President Dan Williams recently attended the National Bike Summit in Washington, DC to learn how cyclists can help municipalities cater to the sport's needs. Updated Maps: Google Maps has added a "biking" option as part of its directions. The site needs help getting bicycle routes updated on its maps, so be proactive and suggest locations by using the "Report a Problem" link in the bottom right corner of Google Maps. New Website: There is a site to raise support for cycling. Go to peopleforbikes.org and sign the pledge to make our communities more bike friendly. Bicycle Friendly Community: North Little Rock is the first city in Arkansas to be recognized as a Bicycle Friendly Community by the League of American Bicyclists. Part of its appeal includes the Big Dam Bridge, a pedestrian and bicycle bridge over the Arkansas river. Other Bicycle Friendly Communities in our region include Tulsa, Oklahoma; Austin, Texas; Oxford, Mississippi; Auburn, Alabama; and Chattanooga, Tennessee. Garver Awarded I-244 Multimodal Bridge Project!